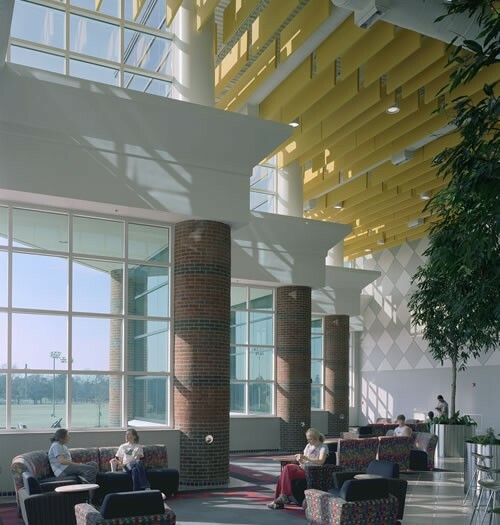 Student recreation reached a new level after this expansion and renovation of the existing center nearly doubled the square footage. 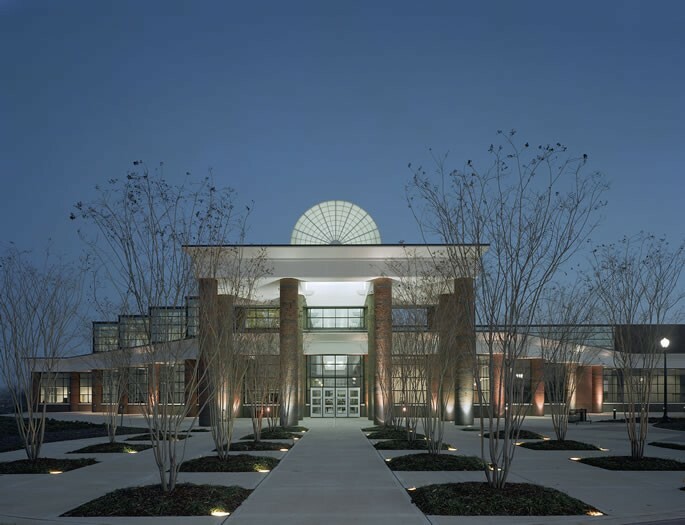 The relocated main entrance provides a unique and clear entry statement. 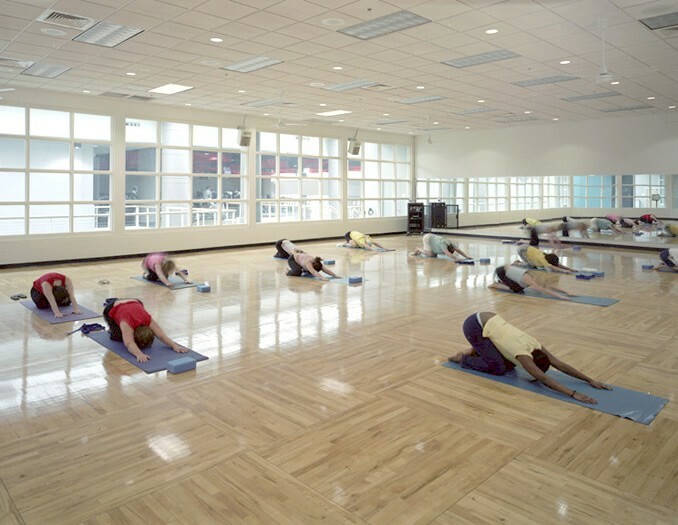 Program elements include a four-court gymnasium, a 16,500 SF two-story weight fitness area, a cafe, centralized administrative offices, a 20’ high climbing wall, new group fitness rooms and a generous lounge area. 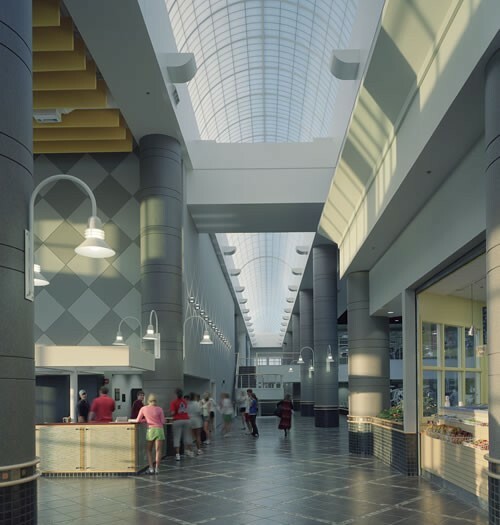 A continuous translucent concourse runs the length of the complex providing inviting access to all program opportunities. A two-story lounge offers views deep into the complex and the rock climbing wall provides a dramatic endpoint, opening to a new outdoor aquatics facility. Outdoor pools for both university and community use are serviced by a separate cabana building housing locker rooms and a concession stand. An outdoor pursuits program allows people to rent tents, kayaks and other equipment. 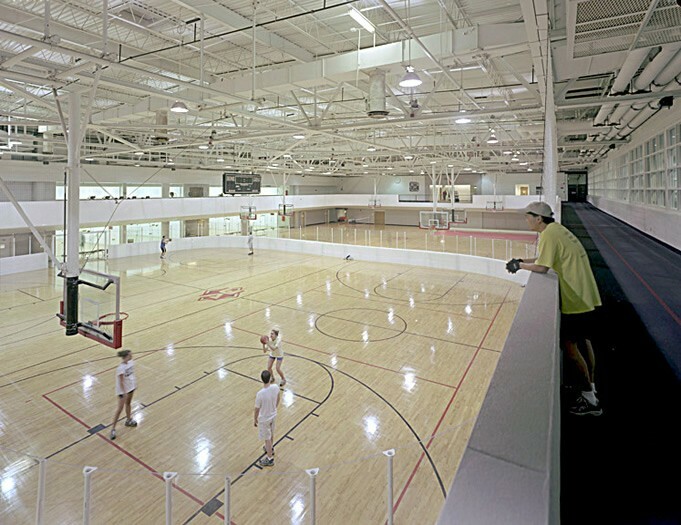 The existing building components include a five-court gym, racquetball courts, multipurpose rooms, locker rooms, and an elevated running track.